Nature's Answer Platinum Liquid Multi Vitamin/Mineral is a comprehensive daily supplement that delivers key nutrients in an easily absorbable form. 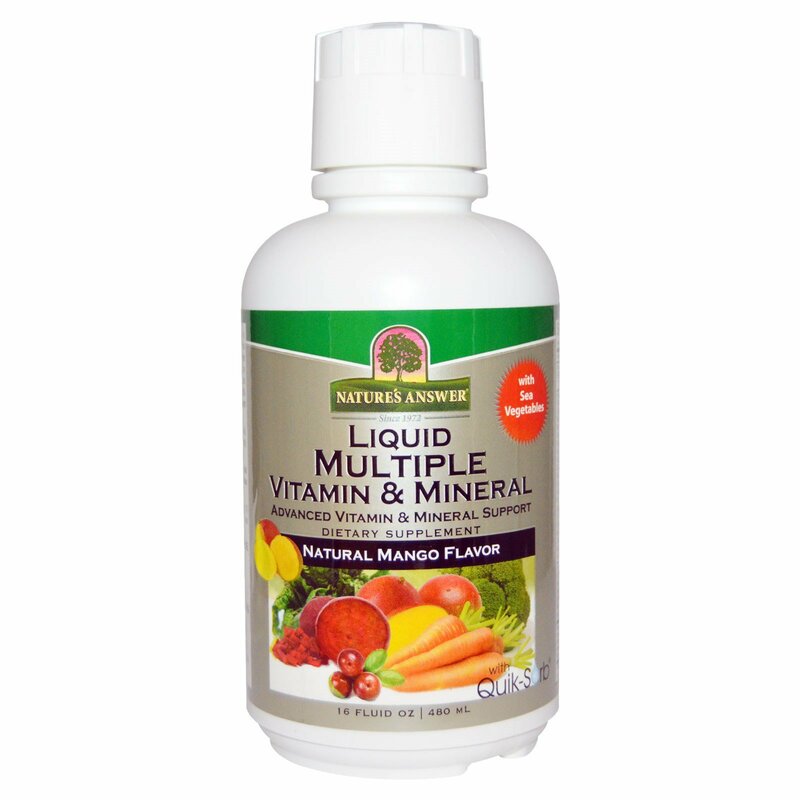 Enhanced with whole food concentrates of sea vegetables, food extracts and herbs. Includes Quik-Sorb, an exclusive blend of herbs known to enhance delivery of nutrients to the body. 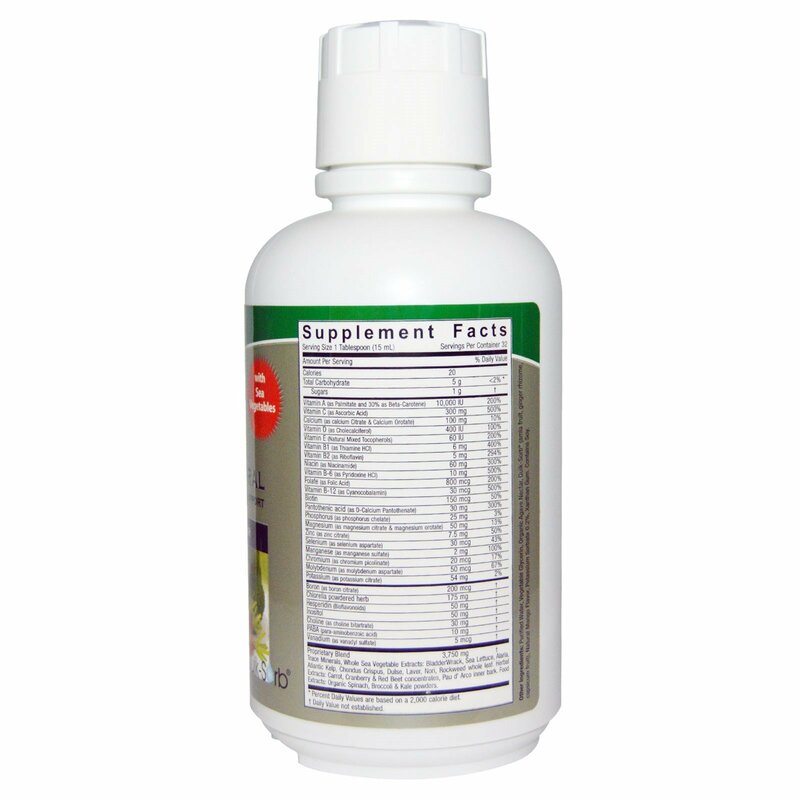 As a dietary supplement take one (1) Tablespoon (15 ml) daily with a meal, or as directed by your healthcare practitioner. May be mixed with water or food. Purified water, vegetable glycerin, organic agave nectar, Quik-Sorb (amla fruit, ginger rhizome, capsicum fruit), natural mango flavor, potassium sorbate 0.2%, xanthan gum. Contains soy. Separation is normal, shake well before use. Refrigerate after opening.